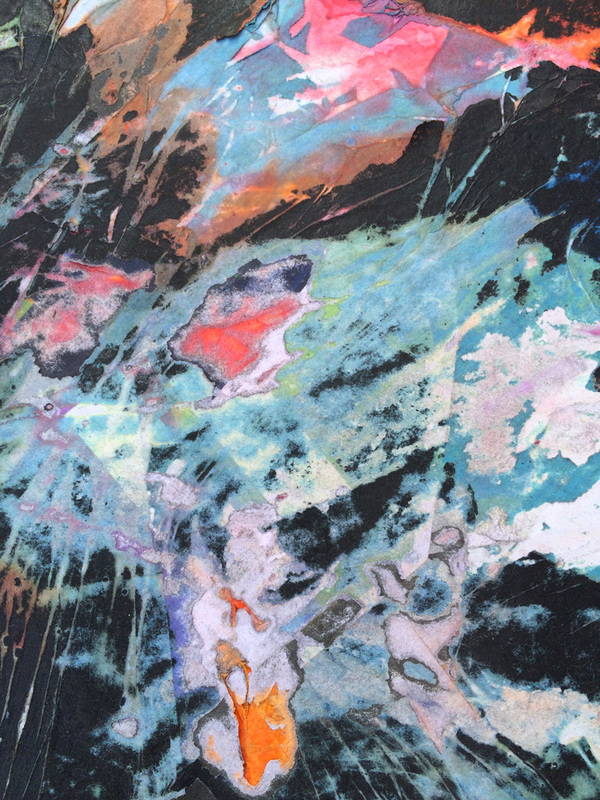 DETAIL from a mural created by students at Buffalo Academy for the Visual and Performing Arts Students with artist Mark Bradford, working with the Albright-Knox Art Gallery’s Public Art Initiative. Since February, students set forth on a four-month art exploration to create a mural that was inspired by Bradford’s practice. They began their work by researching social justice issues in Buffalo from five different perspectives—historical, environmental, quality of life, demographics, and hopes for the future. Beyond in-school research, guest speakers from PUSH Buffalo and the Buffalo Center for Art & Technology, in addition to field trips in the community enabled the students to realize how social justice work is improving communities in Buffalo.